Kasia Struss for Zara March 2012. My heart ache's for that floral two piece..
so great. zara always does it right. I really like the pastel colors! 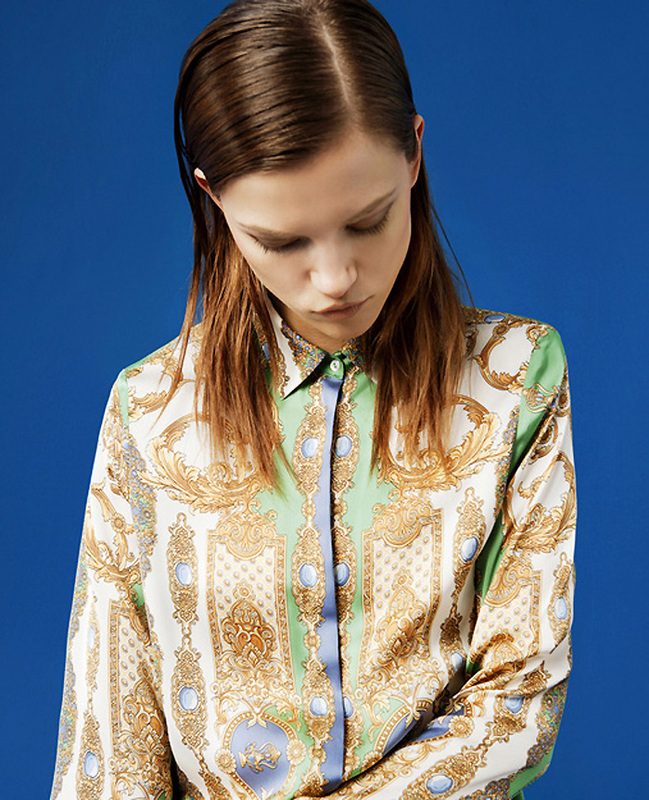 Also the shirt with studded collar, beautiful! 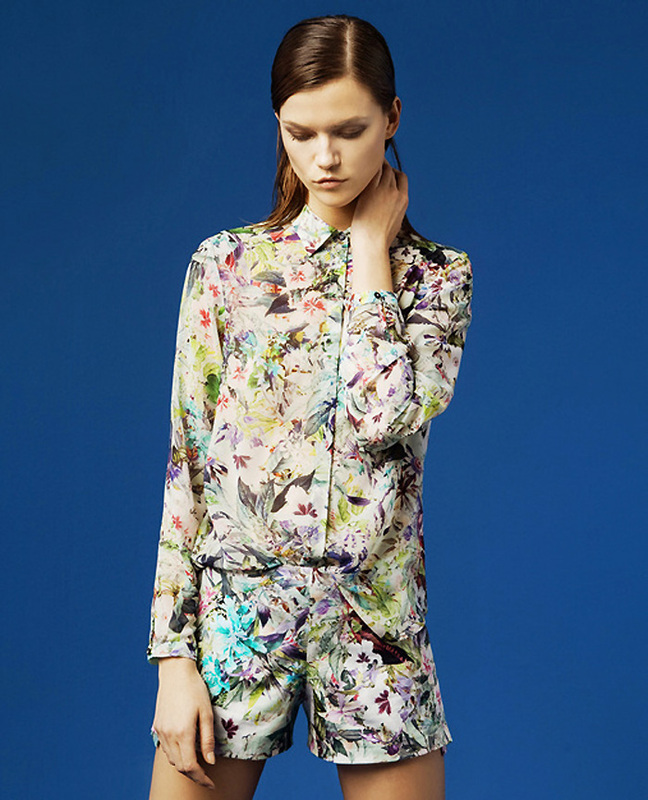 That first outfit- print on print, is so divine! Third one, the black combination, looks amazing! Amazing collection! Love the pastels, but also the black tunic on the 3th picture and the pink pants!